The ITB, which is an acronym for Internationale Tourismus-Börse Berlin, is the most important Travel Trade show in the entire world. This is the place where the who’s who of the aviation industry descends along with the people who work in the travel industry and also non-industry people who just want to inform themselves about beautiful and exciting travel destinations meet each other at one place. All levels of the value added chain are present: from tour operators, booking engines, destinations, airlines, and hotels right through to car rental companies. It wasn’t always a mega event when it started back in 1966 and saw a modest participation of five countries only and that too in the context of an overseas-import trade show. Exhibition space has since grown from 580 square meters to 150,000 square meters today. The number of trade visitors rose to over 100,000 from initially 250. With a total of 180,000 visitors, who would like to see the offers of currently over 10,000 exhibitors, ITB Berlin today is a real show-piece of Messe Berlin – and has expanded towards Asia. This year the event is scheduled to take place from Wednesday, 06 March – Sunday, 10 March, and it’s expected that 2013 edition of ITB will attract tens of thousands of exhibitors, visitors and media representatives. 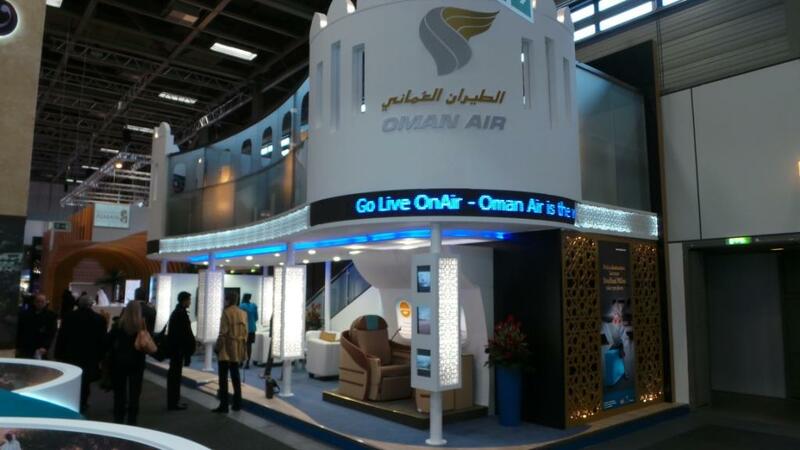 The whole variety of travelling is present at ITB Berlin: Destinations, tour operators, booking systems, carriers, hotels and all other suppliers who want to embellish their customers’ most beautiful weeks of the year and that’s one crucial reason why Oman Air is a regular participant at this mega event. Located on the fairgrounds of Messe Berlin, the ITB for trade visitors is the perfect opportunity to meet business partners and do business. But the real fun is reserved for the general public as they can check out the variety of holiday-options, fantasize about the ideal holiday and maybe book an impulsive vacation at the event. It is a unique possibility to discover the travel-world in a few hours. We hope that we can conclude a successful event by achieving what we came for. And, if you are visiting the event please drop by counter 202 Hall 22.B, hope to see you there. Are you ready for the Extreme? To reach the top is difficult but staying there is a different challenge altogether and this is a trait which separates the exceptional from the ordinary. As we all know that 2012 was an outstanding year of sailing achievements for Oman, when two teams participating in the premier sailing event, Extreme Sailing Series, took the top two positions at the podium. The Wave – Muscat finished as the leaders with Oman Air finishing second, proudly representing Oman at the highest level of sailing. Now into its seventh year, 2013 Extreme Sailing Series events and dates are already out with the first leg to kick-off in Muscat. Eight Host Venues spanning the Middle East, Asia, South America and Europe have been announced for the 2013 Extreme Sailing Series, marking the third year of truly global competition for the circuit first launched as a European only event in 2007. From the Series opener to be held 5th-8th March at The Wave, Muscat in Oman for the third year running, to the grand finale in November on the 2016 Olympic waters of Rio de Janeiro, the Extreme Sailing Series spread across the calendar with one exciting Act in an iconic location roughly every five weeks. This year some new faces and teams will join the line up against the more seasoned crews from the previous seasons. Keeping the same successful format as previous years unchanged, each event will take place over four days: one day of potential open water racing followed by three days of stadium racing open to public and VIP guests. The free public Race Village in each venue will continue to expand the on land entertainment experience, which in Muscat will include Red Bull free runners, a family activity area, ‘try sailing’ sessions for local school groups and a football tournament which in 2012 attracted 130 local teams!